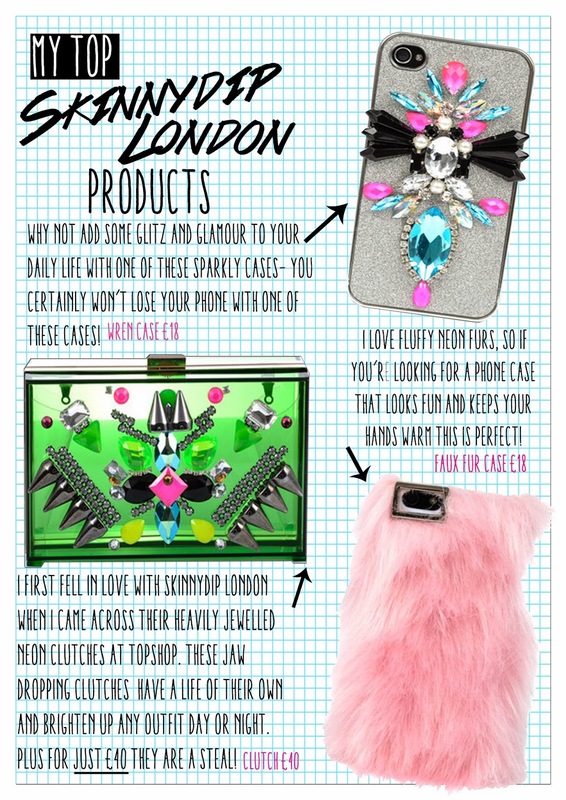 Fashion Obscura: Skinnydip London Love and Blogger of the Month! 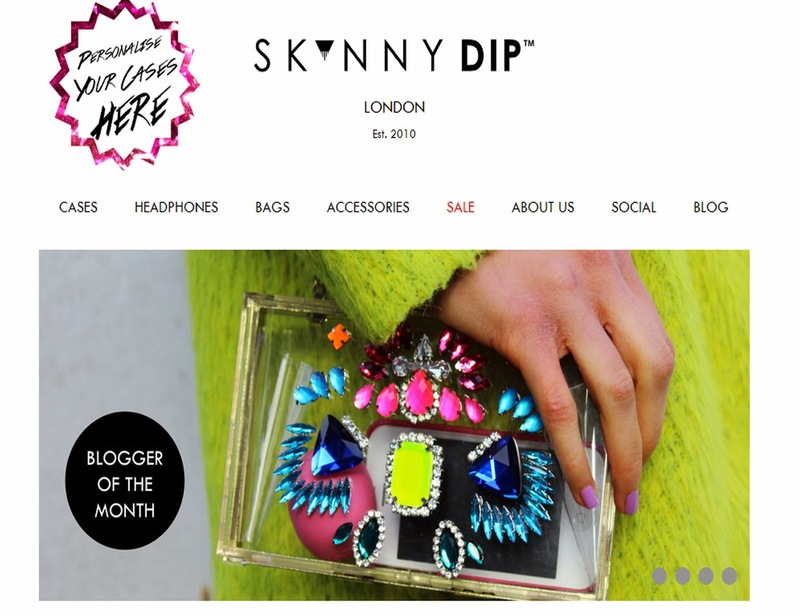 Skinnydip London Love and Blogger of the Month! There is no greater way to start the month than achieving the status as Skinnydip London's "Blogger of the Month"! I am honoured to be given such a privilege by one of my favourite accessory brands. I first came across the brand a few months ago after placing eyes on their TopShop concessions stand. I adore their eclectic mixture of shiny plastics and sparkly jewels which look as if they belong on a catwalk. Yet they're so affordable that it feels a bit like day light robbery! You might remember that a few months ago I blogged about my beloved "Venus" clutch. Since then I wear it all of the time. 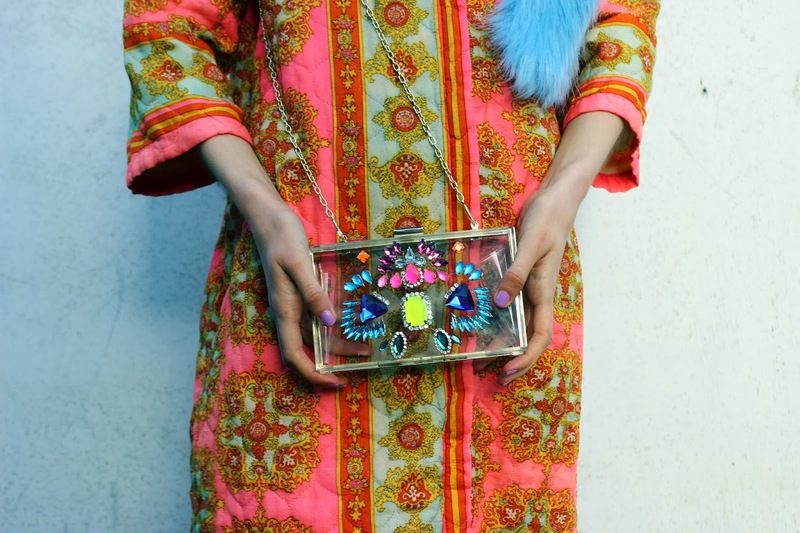 I love this clutch because it works with every sort of outfit as the clear plastic case is a very versatile material which compliments any coloured and patterned piece of clothing. I love the multicoloured embellishment of the jewels as they add a strong contrast and sparkle to any outfit. This clutch adds glamour to any day outfit and a whole lot of shimmer at night! 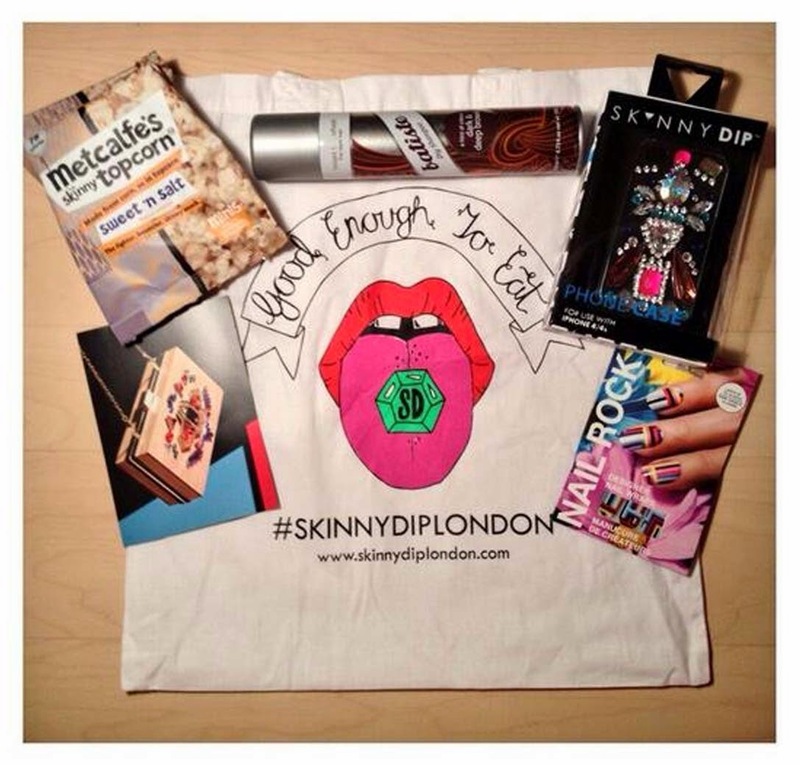 I was also fortunate enough to receive this amazing "London Fashion Week Survival Kit" from Skinnydip London which included some very chic essentials. 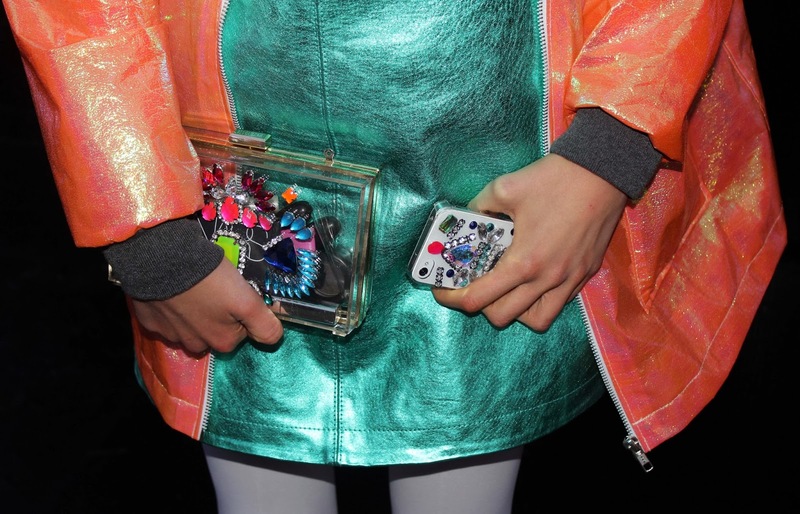 I especially loved the twinkling phone case which adds some much needed colour and shine to my white iPhone, plus it matches my clutch perfectly. 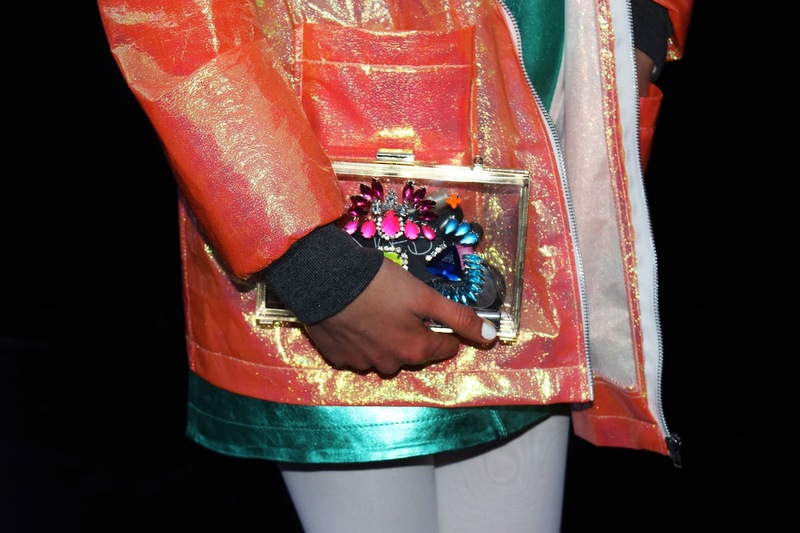 I wore the case and clutch to LFW and it certainly stood out with my metallic inspired outfit which was photographed by Glamour, i-D, Company, LOVE and many more photographers and bloggers! I love Skinnydip London and I can't wait to see what the future brings for them- hopefully even more sparkle and sophistication! I'd like to thank the brand for making me their Blogger of the Month as its such an honour. If you want to read my interview as Blogger of the month for Skinnydip London check it out here ! The interview will provide you with an insight into my life as a blogger, and the inspirations and influences behind my style!